This graph depicts the average minute rating* of Olympic Winter Games broadcasts from 2002 to 2010. 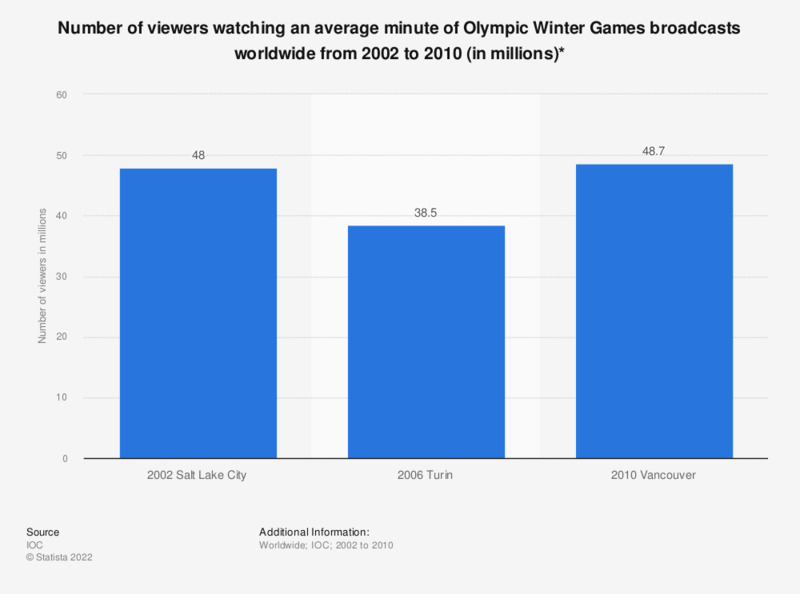 At the Olympic Winter Games in in Salt Lake City in 2002 the average minute rating was 48 million. * Average minute rating measures the number of viewers watching a typical minute of Olympic Games television coverage. The global figure is calculated by combining the average minute rating of dedicated Games coverage aired by official broadcasters.